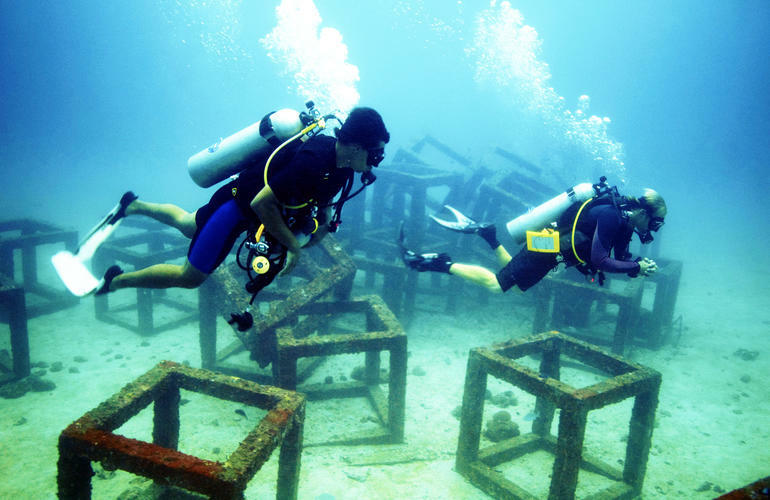 Have you always dreamt of scuba diving down into turquoise coloured water in the archipelago of Phuket in Thailand? Well here’s your chance! 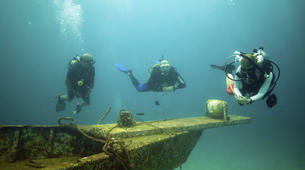 SSS Phuket will take you on your first dive to explore the best spots of the Ko Racha Islands. 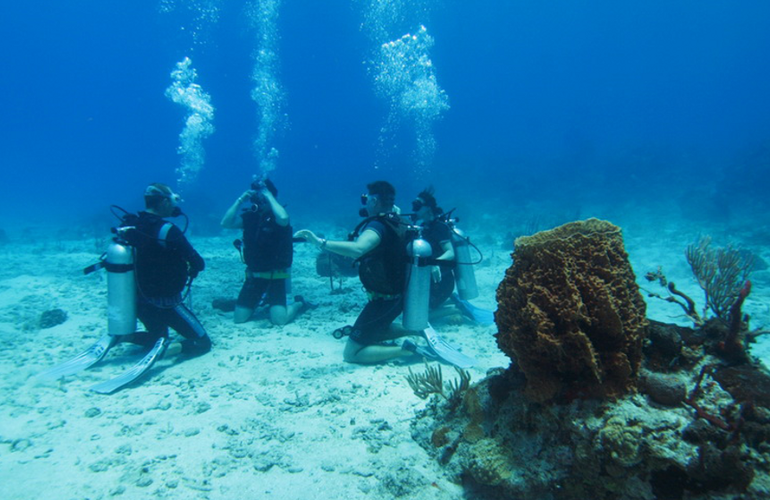 During this excursion you will learn how to use scuba diving gear in shallow water. 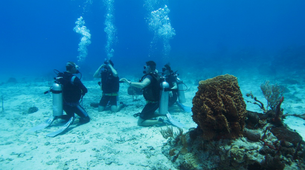 Your certified instructor will give you a short presentation on what an underwater exploration consists of. 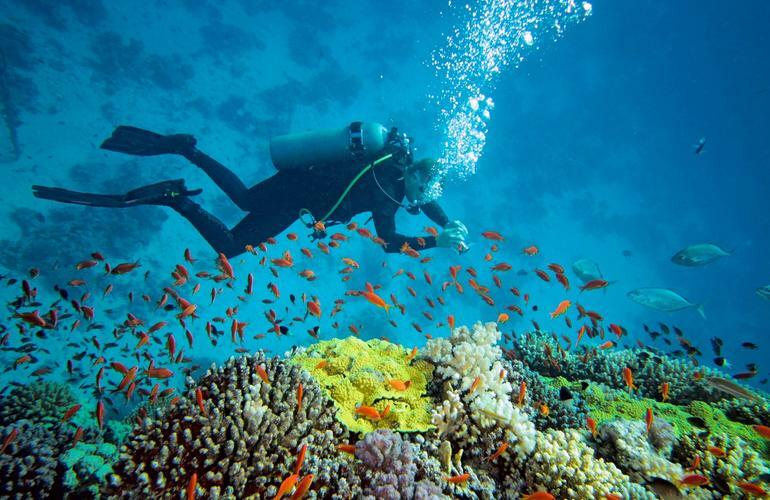 This package is all inclusive (transfers to and from the hotel, boat, scuba diving gear, breakfast, lunch, fruit and drinks), you’ll do 2 dives around the different islands. During your scuba dive at Ko Racha Yai, you’ll be able to swim in turquoise coloured water that’s surrounded by powder white sand. The water temperature varies between 27 and 30°C – pure bliss! 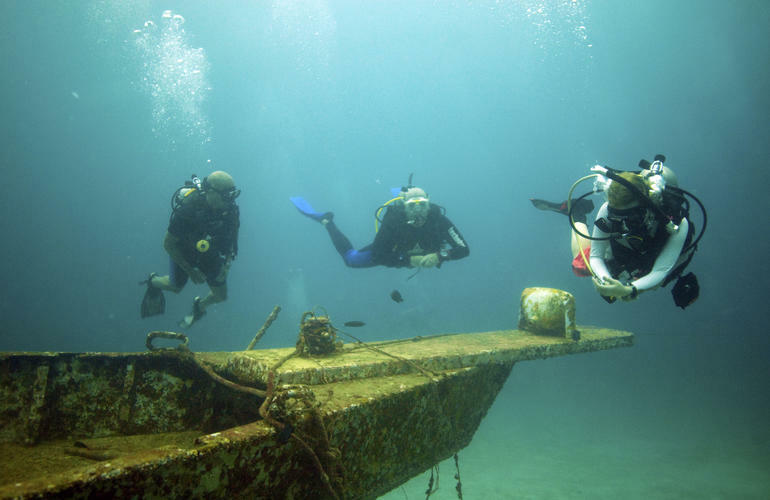 All the necessary scuba diving gear is included in the package: a mask, snorkel and fins, a buoyancy control device that also carries your scuba tank, a scuba regulator to breathe from and instrumentation to monitor depth and air supply. 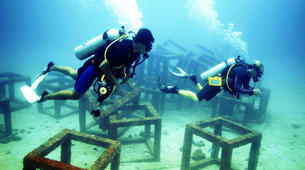 You would also be provided with a scuba wetsuit and a weight system. Koh Racha Yai is the largest of the two islands located off the Southeastern coast of Phuket. On the northern end of the island, you can find two beautiful little bays. 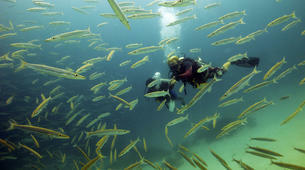 They are known for their deep clear waters and the colorful coral formations. 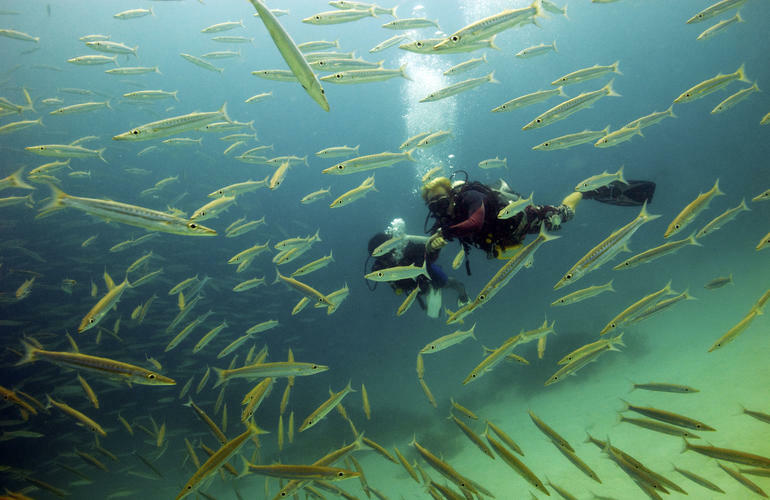 This scuba eden has gained its reputation for its beautiful clear waters and white sandy beaches. Being renowned for its great visibility while diving even during the different seasons, nothing beats learning how to dive in Racha Yai. While it may be awesome to already discover the rich marine life in Racha Yai while snorkeling, diving would lead you into a whole new underwater experience. Amongst the varieties of marine life that you would be able to see, get ready to spot the hidden scorpion fish waiting to prey! Another variety of fish that you would be able to spot are the tuna. Feast your eyes on the shoals of tuna swimming around you. Stonefish are also regular guests at Racha Yai .For many divers’ pleasure, be sure to enjoy an exceptional dive especially off the east coast where the current allows a drift dive along a slope with a rocky face. 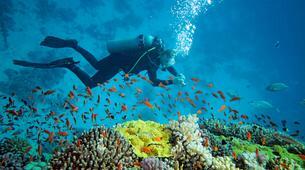 It is covered with beautiful corals. 3:30pm: Back to Chalong Pier. There are free transfers for Chalong, Kata, Kata Noi, Karon, Patong areas. If you are located outside these areas, please let SSS Phuket know as soon as you have booked the activity, please note this is a surcharge for this service. BEST ADVENTURE! my instructor was amazing. The entire trip was amazing. Loved every second of it. Everyone was very fun and nice. I'm definitely doing this again if I come back.